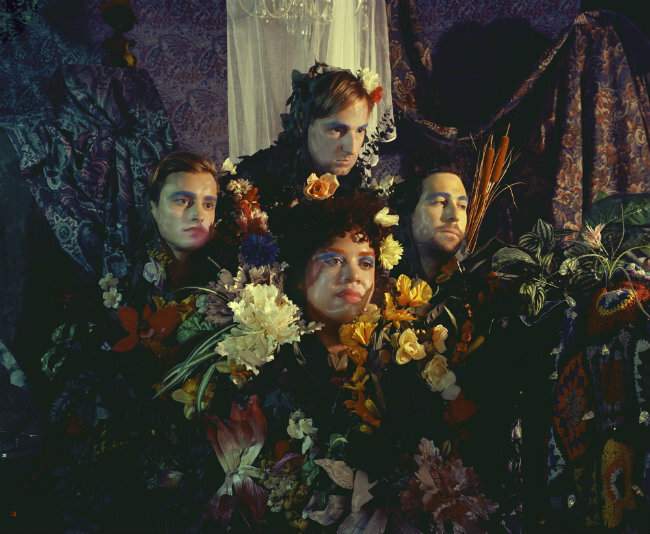 One More is the lead track from Weaves' forthcoming self-titled debut album, due for release on Memphis Industries on June 17th. It's the follow-up to their self-titled EP, three one-off singles Tick, Crumble and Shithole and their cover of One Direction's Drag Me Down. The four-piece hail from Toronto and feature Jasmine Burke, Morgan Walters, Zach Bines and Spencer Cole. 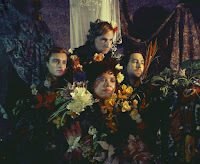 They formed in 2014 and have spent the majority of the last year recording the album. One More is a great indicator of what that should sound like it - a little bit bonkers, a massive bit brilliant. Full of an infectious energy and a refusal to conform to any rules, it comes along, smacks you right between the ears and then bounds off to find its next victim, leaving you feeling a bit bruised but having enjoyed the whole experience. Weaves are on Facebook and Twitter. They play Latitude, Secret Garden Party and End Of The Road festivals in July and September so hopefully that will mean some more intimate UK dates in between as well.